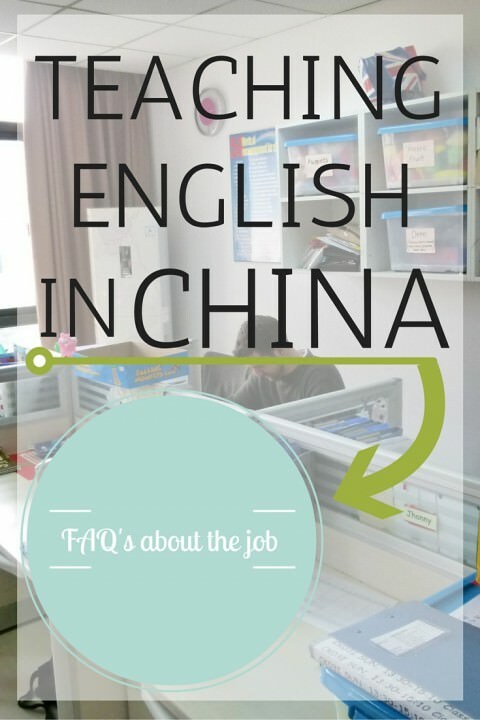 So you’ve read our article about getting started teaching English in China, and now you have questions about the job itself. Here you will find the answers to your teaching in China questions, but if you finish reading and you still have more questions, you can feel free to comment below and we will get back to you ASAP. 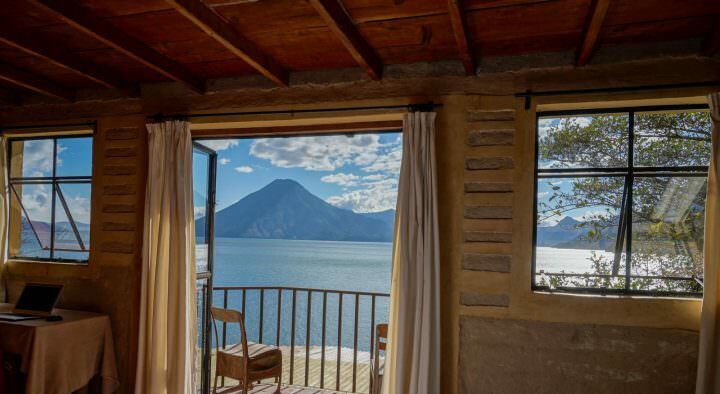 Note: Teaching English was one of the jobs included in our epic list of 101 Best Travel Jobs. Check it out for more amazing jobs that you can do while you’re travelling so that your trip never has to end! There is no doubt that teaching English in China is a great job, but what makes it so great? What should you expect? What will you be expected to do? Here you will find the answer to those questions and many more. 1. How many hours will I have to teach? How much will I get paid teaching in China? This will vary greatly depending on your contract and location but generally a good contract will pay you over 10,000 RMB ($1,455) / month and will require that you work around 20 hours / week. However, right now there are teaching jobs in China at the school we personally worked for, and they are paying between 16,000 – 20,000 / month. That’s $2,325 – $2,910! Click here to learn more and to apply. For more on hours, wage and more, see our Getting Started section. 2. How many students are in a classroom? The number of students in a classroom when you’re teaching in China will vary depending on what kind of school you work for. Public schools have as many as 50 students, while many private schools limit class numbers to around 12. You should ask the school how many students are in a class before you sign the contract. Teaching English can be exhausting and if you are not used to controlling 50 students, you should probably search for a school with limited class sizes. 3. Is there anyone else in the class with me? Do I get help while teaching in China? Generally there will be a T.A (teaching assistant) with you in every class that you’re teaching in China. The T.A is NOT there to translate to the students, although they sometimes do as a last resort teaching method. The T.A is simply there to help you control the class, keep the kids in line and supply you with any teaching materials you may need before and during a lesson. The T.A’s are your best friends so treat them well and communicate with them to keep the class running smoothly. 4. How do I teach if I don’t speak Mandarin? Is there a translator? If you are teaching English in China at a reputable school (such as Shane English School), there will likely be rules in place to ensure the students learn in a 100% English environment. You will not need to speak Mandarin or translate the language to the students if you present it in such a way that they can understand. 5. What is a lesson plan and how do I write one? If you took a CELTA/TEFL/TESOL course, you should already have a firm grasp on writing lesson plans. Basically, a lesson plan is a detailed timeline of what you will teach in your lesson. There will likely be a beginning or “entrance” to your class, a warmer to get your students interested, a review of the previously taught material, phonics practice (B = banana etc. ), an introduction of new vocabulary and language or grammar points (sentences). The photo below is a lesson plan written for a primary class and although it’s messy, it’s concise and it follows the class structure required by our school. During your first week at your new school you will likely be offered a training schedule, where you will learn all of the basics of lesson planning, classroom management and the details of the curriculum that your school requires you to follow, as well as other helpful pointers that will aid you while teaching in China. 6. What other duties will I have besides teaching English? This also depends on your school and contract, but if you’re teaching English in China, you’ll probably have to do more than just teach English. Many jobs will require you to do some promotion work, level checks, office hours and demos. Promotion work is basically just going to a public place like a mall or a library (accompanied by your T.A) and use your foreign face as an ad campaign for the school. You will be expected to talk to kids, smile and maybe do some level checks for potential new students. 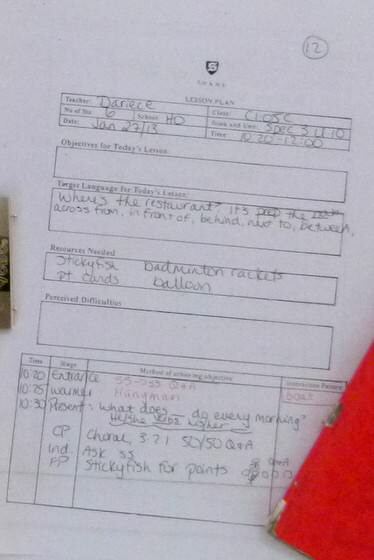 Level checks are basically just a series of questions that you will ask students before they start with your school, these questions are written down in such a way so that you can discover what level a student should start at, depending on which questions they were able to answer. Office hours are basically just filler hours, if you’ve signed a contract to work 20 hours / week but there are only enough classes to have you teach for 15 hours then you will likely have to make up the extra time by hanging out in the office, doing level checks, writing lesson plans and doing demos. Demos are classes created for parents to see what the lessons are like in your school before they pay the enrollment fee. It will generally just be a regular class with parents watching and if you’re good, they will sign up and enlist their child with the school. NO PRESSURE! 7. How many paid holidays will I receive each year? Again, this depends entirely on your contract, but generally speaking there are around 11 national holidays throughout the year, and most contracts will offer another 10 days on top of this. So you will probably get 2 weeks holidays (including the weekends) and 1 day/month on average paid holiday. If you work for a school that shuts down during the Spring Festival then you may have as much as 5 weeks off, but this time may or may not be paid, depending on your contract. 8. Are there tutoring jobs available for extra money? Yes. Once you have started teaching in China at your school you will probably learn about multiple opportunities for tutoring and other ways to make some quick cash. If you live in a place with few foreigners, your face will stand out and ultimately land you some good opportunities. Most teaching contracts will require you to inform your employer of any extra tutoring jobs you pick up and almost all will forbid you from tutoring your own students or students that go to your school. 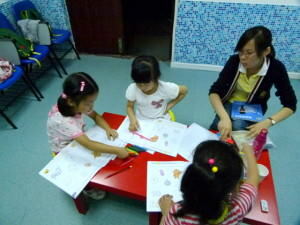 Tutors usually charge between 100-250 RMB / hour. A better option, however, is to teach English online with VIPKid from the comfort of your apartment! 9. Will I receive a bonus for completing my contract? Most likely, yes. Almost all contracts signed for teaching in China will include some sort of end of contract bonus. There are often flight reimbursements that can be as much as $1500 as well as retention bonuses (for keeping your students) and attendance bonuses. 10. Will I be required to work at outside locations? This will depend entirely on your contract, but many schools do contract out their teachers to other schools in the area. Especially if you are teaching in a rural part of China where foreign teachers are few and far between. We personally had to work once a week at a nearby school for an hour. Teaching in China – The Best Job! We highly recommend this job to anyone who is looking to live and work abroad, while learning about a new culture. As I said above, Shane English School is currently hiring and they are offering a high salary. Click here to learn more. I recently started reading your articles on this site and so far I have enjoyed all of them. I may have missed it but do you have any information on any particular schools or recruiters that would be a good choice for someone fresh out of college to get started with in China? I am almost tempted to just fly to China for a few weeks and search around but that would preferably be a last resort. We’re so sorry, I don’t know how this comment got missed! We teach at Shane English School and we can recommend it. They have schools all over China, Japan, Vietnam, Poland, South Africa and Taiwan. If you’re interested in teaching at Shane, let us know and we’ll get you some contact info. We found ourselves travelling in China and just ended up looking for a job when we were here…but it all worked out! Again, sorry for the delayed reply. I’m sure you will find something! Good luck to you. Thanks for the comment. I have some good news for you! You really don’t need any “creds” to teach in China. You can get a job quite easily here with no CELTA/TEFL and no University Degree although a CELTA or TEFL would be a valuable asset to have. If you want, you could do a quick online teaching certification that you could complete in a week or so, and then start applying for jobs on ESL Daves. We got jobs without any degrees or teaching qualifications, but we received extensive training upon arrival to China. You can expect to make around 9000¥ here which is around $1500 / month. Doesn’t sound like a lot but there are no taxes and living expenses are so cheap that you easily be able to save enough to travel around. 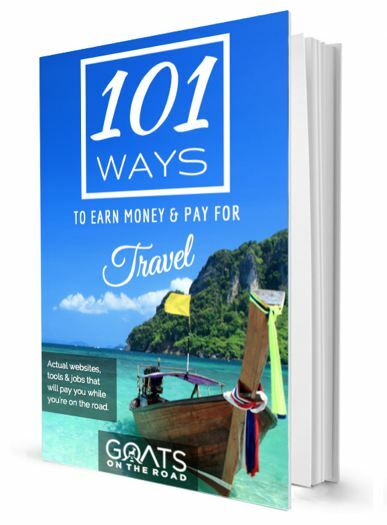 After a year you could have $9000 saved, enough to travel around southeast asia for 6 months! As for the travel budget, it depends on where you’re travelling. You can get by on as little as $30/ day in places like Southeast Asia, here in china I’d think around $50 including lots of transport. If you’re working a bit you could extend your trip but most teaching contracts in China will want you for a year. Looks like your about to make a big change and when we made the decision to change our life, it was ALL for the best. Good luck and if you have any more questions feel free to ask! When you say you got extensive training when you got to China, how..? I see classes but none for a week…I’ll keep looking.. Maybe a bit “nervous”?? Excited?? Anything else you would be able to tell me about the training experience or difficulties to be aware of..? How long have you lived in China? Sorry, just trying to cover all my bases of awareness and cut back on early mistakes..=) Best Always, and Many Thanks, TJ. Hi TJ, I believe we emailed you our answers to this, but just wanted to reply here to make sure. We were given training directly through our school. They tutored us on the books, the school, how to do lesson plans, etc. We were then sent to the main office in Shanghai for extra training. We lived in China for one year in Yangzhou. We loved our experience there and can highly recommend Shane English School. Just a heads up…under #6, last sentence, should be “their”. My apologies, but I figured under the circumstances you’d rather know. I’m considering teaching in China. I have a good undergrad degree from a university and about (12) years of solid business experience, but zero classroom teaching experience. Curious if you know of any schools/cities that are near meditation and/or martial arts temples that you’ve heard of, or would recommend. Strongly considering a “walk the Earth” adventure. Thanks…nice to see some information more recent than 2005.
wow, that’s pretty bad for English Teachers! Thanks for the heads up Justin, we’ve edited that. We haven’t heard of any schools that are near any meditation centers or martial arts temples. There definitely aren’t any in Yangzhou. 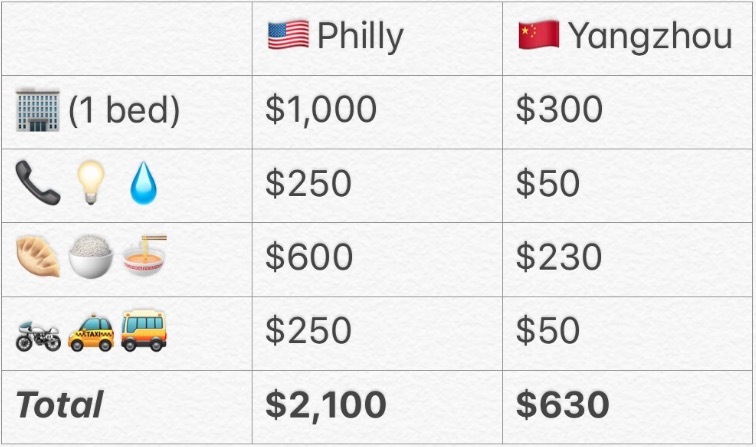 Your best bet is to probably check out the bigger cities: Beijing, Shanghai, Nanjing, etc. Curious to know what a “walk the Earth” adventure is? When you say 20 hours of work/week, are you referring to 20 classroom hours or 20 total hours (including promotion work, level checks, office hours and demos)? Yes, it was 20 hours / week. Some weeks it was more like 17 hours. It all depended on whether or not we had meetings or promotion to go to. There were a couple of weeks when it was 23 hours, but that was an exception. I was looking to teach English in China, I find it really hard to find out where the best place is to teach. I agree that it depends on preferences, I’ve emailed Shane English School based on your recommendations. I’ve emailed some recruiters on Dave Esl Cafe but find that some are not replying or if they are replying I can’t understand what they’re trying to ask me. Would it possible for you to email the recruiter that you spoke to? I was interested in going in January to avoid winter since I live in Canada as well. Just wanted to say your blog is quite inspirational as well! Deciding which city to teach in really does depend on your interests, the things you want to experience while in China and the things that you don’t want to experience! For example, if you don’t want to deal with cold winters (like in Canada), then you probably don’t want to teach in Dalian for example or Harbin. If you really want to have an authentic Chinese city, then you don’t want to live in Shanghai. If you want a mix of western comforts and Chinese lifestyle as well, then maybe Beijing, Nanjing, Xian, Guilin, etc. For us, we wanted to be fully immersed and chose Yangzhou because there’s not many foreigners there at all. Good luck! Let us know if you have more questions. Hello my name is Brandon Glazik and I’m interested in teaching at Shane English School in Wuhan. I was wanting to know if there are any positions open? I’m currently in Daye just about two hours outside Wuhan. I’m an American in China. Here is the Shane English School website which has listings of all of the openings available at their schools around China. It looks like there is one in Wuhan! Give them a call. One thing I forgot to ask is when does the school / academic year start? Been in Thailand for three years but not sure I can just up and leave to get to China before the new school year. The School year for elementary students begins at the end of August/early September depending on the year. However, that doesn’t really matter. In China, they will hire new teachers at any times of the year (at least in our school they did). We started teaching at the beginning of July, and other teachers were staggered throughout the year. I think they do (did) this because they don’t want all of the teachers finishing contracts all at the same time and have to train a bunch of new teachers at once. It’s nice to have some of the “old” teachers around to explain things, show them around, etc. My name is Christopher and I taught English in Korat, Thailand earlier this year, got my TEFL there, and loved it. 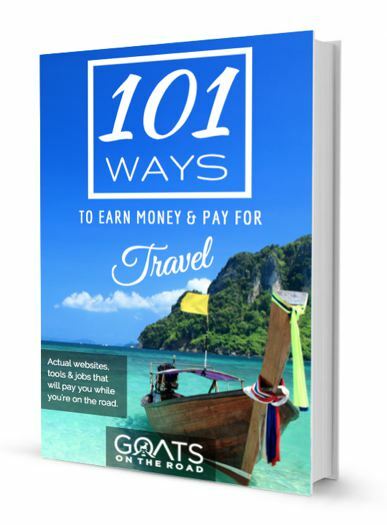 Pay isn’t great there (45K baht = $1,500) but the overall culture (food, travel, etc.) were amazing, cheap to live and worth it. I only stayed 6 months because my son lives back home here in the states, however, full-time teaching jobs are few and far between these days. Anyway, I have a couple cultural / job questions for you Brandon. I’m going to Shenzhen, China in February on a short 4-month contract for 14,500 RMB monthly, with a 6,000 RMB end of contract bonus (for flight/travel). Housing is included in the salary and was told is around 3,000 a month. Can you tell me if that sounds like a decent deal overall? I researched a little and hear Shenzhen is near Hong Kong and very expensive. It’s a solid salary but can I save $1000 a month for 4 months before flying back home? This is assuming I live the “Chinese” life (food, travel), etc., which I will try. Secondly, is it true that Chinese people are less friendly than Thais and other Asians? The Thais are Buddhist and, for the most part, are extremely warm and friendly. Brandon, sounds like you feel the Chinese are similar but I’ve heard horror stories that include natives pushing and shoving foreign teachers on subways, etc. Thanks for all the advice. The feedback is greatly appreciated! Yes, it’s a pretty good deal! You should be able to save a lot of money living a Chinese lifestyle – eating local food, buying a bicycle, not going out to bars (just drinking local beer instead of imported booze), etc. To answer your other question, in our opinion, the people of China are some of the most kind people in the world. They’re very curious about westerners, have loads of questions, even though many don’t speak English, they always try to communicate. We didn’t have a single negative incident happen to us, and we were there for 14 months. Sorry, Brandon was a different responder. lol. Anyway, the email was directed at those living in China and the goatsontheroad people. Another quick one – I’ve taught in Thailand for three years, but most who “teach” in government schools know that it’s not teaching, especially with the younger kids (Mathayom 1’s), it’s essentially babysitting. 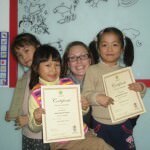 I did a TEFL course yonks ago, but a pretty pathetic one. Do you reckon it’d help to do an updated teaching course, or do you think I’d be ok? I see lots of schools that side give some kinda upfront guidance in terms of how they do things. I think you would be ok.
At our school, we observed other teachers in their classes for 2 weeks. We were also sent to Shanghai for training for a weekend. On top of that, we were given training by the Academic Manager for 2 weeks. She showed us how to do the lesson plans, answered all our questions and was a great help. haha, good luck to you! I’m from South Africa (white obviously). My girlfriend booked a plane ticket to Guangzhou, but apparently in the last few months, due to the fraudulent activity, the Chinese have put a ban on giving working visa’s (“Z Visa’s”?) to anyone from Africa, South Africa included. I heard this from an agency (Network ESL), who seem to be legitimate. I think we should change the ticket to elsewhere, but neither of us have a clue about China. Do you have any suggestions where we could head to for a few days trip, perhaps where there’s a Shane English School or other opportunities? So frustrating when countries take the blanket approach and restrict South Africa because of illegal activity stemming from Africa or African’s. Sorry to hear about the issues you’re having. You’ll want to make sure that you have a “Z” visa for when you start working at a school. You can enter China on a Tourist Visa and then once you have the job, the school can help you apply for a Z visa. 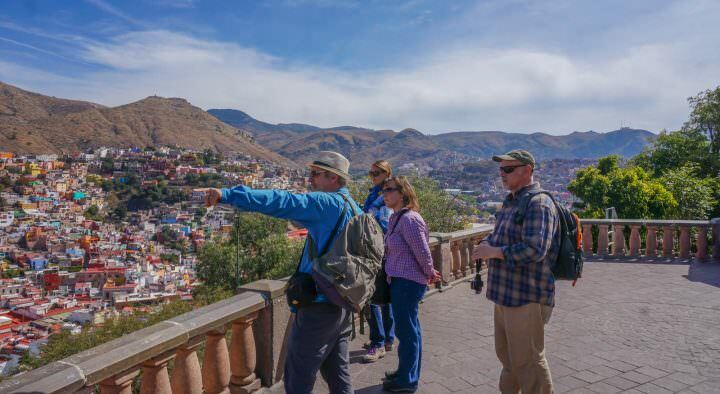 If you don’t have a Z visa, then techinically it’s illegal for you to work, plus, you’ll have to make border runs when your tourist visa runs out – not ideal. You could also fly into Hong Kong and go to China by land? This sounds amazing! Do you know the minimum age requirement? So, as long as you’re 18 I suppose you can get a job. However, if you have a university degree or a TESOL, you’ll have more job opportunities. Thanks a lot guys, exactly the same as Thailand – you’re either on a tourist visa and doing visa runs, or you’re on a work permit through the school .. Thanks for the link to the Shane schools. I am currently looking for an ESL teaching job in China, and I want to ask is it a huge problem to find an ESL job there if you are a non-native speaker? I have a bachelor degree, TESOL certificate and 2 years of teaching experience in Russian public school. Also my IELTS score is pretty high. However I am not sure should I send a CV to schools who want “native speaker from US, UK, Australia etc.”? Basically, what it boils down to is how good your pronunciation is and (unfortunately) that you are white skinned. We have friends from Poland who are teaching English, and also know of people from Colombia. So, if you have all of the credentials you say you do, I’m sure you would find a job. So, you’re telling me all I need to teach English in China is to be a native English speaker and a pale friendly face? I reckon I’m over qualified! Haha! But on a serious note, I am heavily contemplating moving to mainland China come around November or December when I’ve finished up on the farm. I should have about ~5 grand saved up. Reckon that would be enough to get my passport, shots, plane ticket and sustain myself for at most a month until I’ve found myself a teaching job? I know I could just go look that up, but, thought I might ask anyway since I’m typing all this up. Also, I don’t know if you’d know or not, but around where you’re at, what’s the average mood towards cannabis? Iaak BC who would better know rhan someone whom lives there?! I know its a class 4 drug (well, if I remember correctly) but I also know ya can get away with quite a bit in China if ya keep it on the down low and don’t go around waving the stuff in folks’ faces. Not admitting I smoke myself or anything, just curious. Teaching English in China is a great experience, and although all you officially need is to be a native English speaker (and many prefer a light-skinned face), a university degree and a TEFL certificate…we also recommend that people are really interested in teaching children and young adults the language. It may seem like an easy job, but it can be overwhelming and exhausting! Having $5,000 to get started should be plenty! Regarding weed, it’s illegal in China, and we’re not the right people to ask! Sorry 😉 Enjoy your time in China, it’s a great country. Thank you for your response on another page. I think you have a great idea about taking your children with you to experience China and to create invaluable memories. I also agree that the 9-5 mainstream life isn’t “life”. Do you mean that you want your kids to come to class with you every day as you teach English? Sorry, I’m just not sure I’m fully understanding the question. Hi Goats. Thanks for sharing your experiences with us.What sort of questions are asked in an interview for a teaching post. I do not have any teaching experience and very nervous about knowing nothing about teaching. They will ask you about your previous experience (volunteering, coaching, anything like that would help), they’ll want to know your age, they’ll ask you to tell them about yourself. They’ll want to know why you want to teach, and why you’ll be a good teacher for them. I have enjoyed reading the comments and questions on this page, really informative, thank you. I have emailed Standy as I am hoping to find work teaching little ones, I prefer little kids as I have never taught before and think for first time teaching this may be the way forward? Plus I love kids. I am in my 40’s feeling drained from the misery of 9-5 robotic existence, I need a shake up! I travelled a lot when I was younger and I am trying to find my old self…if she still exists, (I guess she does otherwise I wouldn’t even be thinking about hot footing it to China for a year!) I am a bit afraid but more afraid of staying here and wasting what’s left of my life. My question is, am I too old? Is teaching difficult for first timers and will I be able to do it with just my online TEFL? I know I can get the work I just want to know how easy/difficult it will be on that first day! I am not the most outgoing person when I first meet people but once I settle and get to know people I am fine, if I feel comfortable I am quite confident. Is it easy to meet other expats/teachers? I am a vegetarian, I like peace and quiet and fresh air, I don’t want to be in a huge smoggy city. I have a Skype interview set up with Web International English school in Ruago City Jiangsu, any info on this school/ city/area anyone? Hi! Thanks for commenting. I’d say 5,000 would be a bit low. Most teachers make at least 8000 RMB / month also, health insurance, all flights, language classes and accommodation. We’re currently recruiting for an excellent school in China and we can try to get you a better salary if you send us an email with your resume, degree & tefl. I really enjoyed your concise summary of what teaching in China is like. I’ve heard recent reports that salaries in China are increasing quite quickly and it’s possible to make upwards of $3000 USD. What do you think? I REALLY VERY HAPPY TO LEARN NEW THINGS. IT IS VERY INTERESTING BLOG AND HEALP TO LEARN DIFFERENT LANGUAGES.